Save up to $530 & receive exclusive perks and benefits when you purchase by April 30. Guests will be charged $5 for an RFID access card. Tot passes can also be reloaded onto existing RFID cards. Purchase your season pass by April 30 and take advantage of our interest free payment plan spreading payments as low as $96.90 (plus GST) over 10 equal installments. All guests on the Payment Plan are required to provide a credit card and authorize that card for subsequent payments. Nine monthly payments subsequent to the initial down payment are automatically drawn on the 15th of each month starting May 15, 2019 and ending January 15, 2020. Offer valid for personal use only. Early Bird Season Pass purchasers will receive unlimited sightseeing and hiking on the Revelation Gondola this summer. Enjoy several hiking trails, view points and access to the Revelation Lodge on us! Start skiing today when you purchase your 2019.20 season pass. New season passholders receive unlimited spring skiing from March 20 - April 21, 2019. RMR Season Passholders benefit from 50% off lift tickets at all Mountain Collective destinations, including Alta, Snowbird, Aspen Snowmass, Big Sky Resort, Jackson Hole, Mammoth, Lake Louise, Sunshine Village, Squaw Valley / Alpine Meadows, Sugarbush, Taos, Thredbo and Coronet Peak / The Remarkables. Save on major brands and regular priced purchases, big and small, at both of our retail shops, R Gear and Critical Parts. Hardgoods and softgoods available. Excludes Arc'teryx. Lunch, breakfast, and dinner are all available on-resort with a discount for season pass holders. 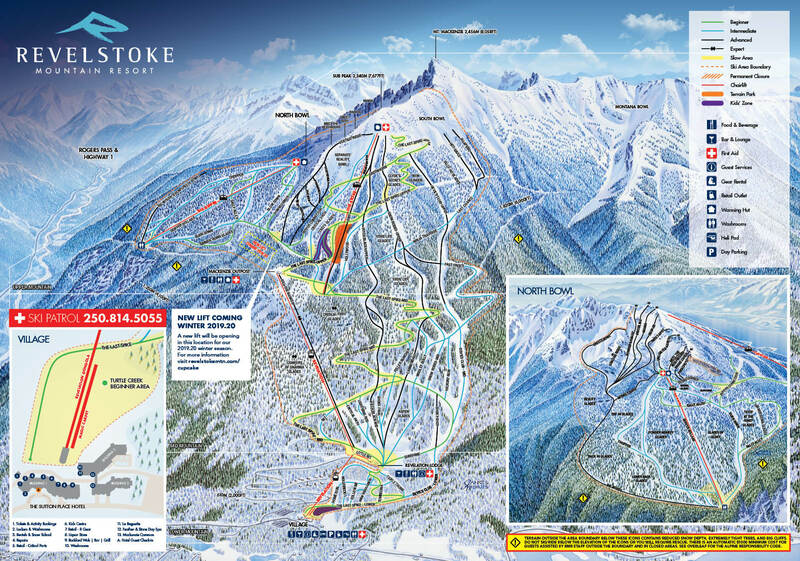 Take advantage of reciprocal discounts at partner ski resorts in Alberta and British Columbia. Program details TBD for the 2019.20 winter season. Debilitating injury/illness that prevents participation in skiing or snowboarding for at least 30 consecutive days. A doctor's note is required. All age cutoffs are based on the date of purchase. Those turning 65 after the date of purchase but before December 31, 2019 may purchase their pass at the Senior rate. A $5 administration fee will be charged to reprint any lost/forgotten season pass. The Season Pass Payment Plan is only available to guests who commit to purchase their 2019.20 Season Pass on or before April 30, 2019. All guests on the Payment Plan are required to provide a credit card and authorize that card for subsequent payments. Nine monthly payments subsequent to the initial downpayment are automatically drawn on the 15th of each month starting May 15, 2019 and ending January 15, 2020.